Weak La Niña conditions emerged last month, and the Climate Prediction Center has issued a La Niña Advisory . Temperatures in the eastern equatorial Pacific Ocean have been dropping in recent months, and forecast models are giving a 65 to 75 percent chance those cooler than average ocean temperatures will remain through the winter months. This weak La Niña will likely influence the type of winter everyone will see across the United States. La Niña winters typically divide the United States into two with two very different types of winters — warm and dry versus cold and snowy. Southern states typically see a warmer, drier weather, making winters a little easier to bear across the South. 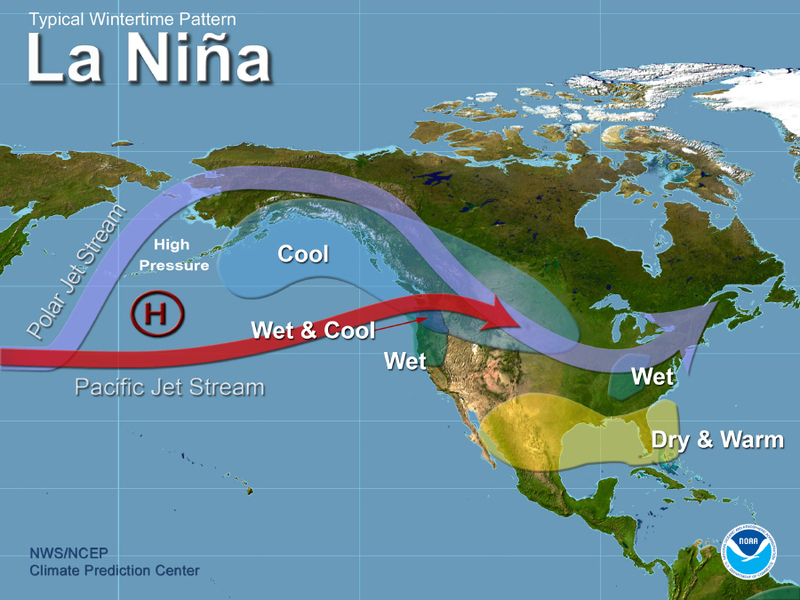 In northern states, however, La Niña winters typically bring colder than average temperatures, especially from the Northwest to the Northern Plains. Additional rain and snow typically falls in the Northwest, Northern Plains and the Midwest. La Niña winters are known for additional lake effect snowfall in and around the Great Lakes. 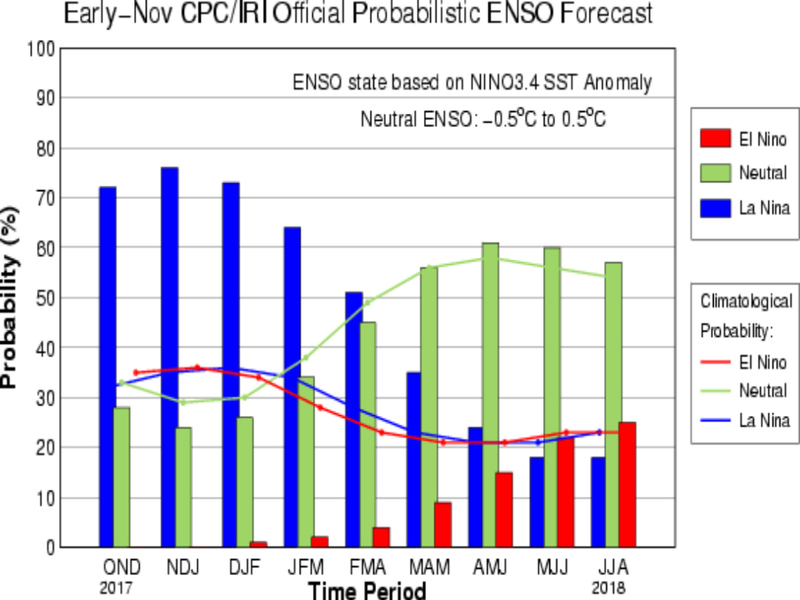 Most winter forecasts were taking into account a weak La Niña even before this one began to develop. This will also be the second winter in a row with a La Niña in place, only the fifth time in recorded history when we've had back to back La Niña winters .